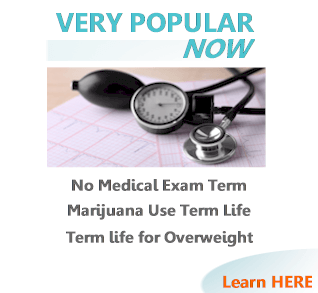 It's just term life. How hard can it be? I just need to run an online quote. Pick the best rate and I'm done. So I can get back to my overly busy life. 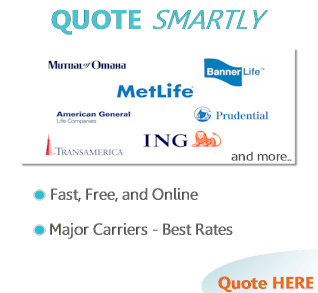 FYI...they all offer about the same plans, rates, and carriers. By law, the rates are identical whether you go through one agency, direct with the carrier, or from your haIf brother John. You're here and not buying from your brother John so we won't get into that! The online quote is really just an estimate! "I thought you said the rates were identical?" Before you give us various bad names, let us explain. We really do want you to understand the term life market so you can get the best deal for YOUR situation. That starts with getting help for an experienced professional. How does an average of 25+ years in the life insurance market sound? What about long relationships with every major life carrier on the market? How about we add current enrollment in the 1000's per year? It's a good place to start (by way, you're there now). Let's discuss what you can expect with all this fire power and touch base on why it's so important to get help from a license term life agent. We want to get you back to picking the best plan possible. You can always call us at 800-710-0455 or email us with any questions. Why get help shopping for life insurance? If the rates are the same and everyone basically has the same rates, why does it matter? The rates you'll see anywhere online are a good guess. That's sounds terrible but it's the truth. Life insurance is really driven by a person's health, health history, and even lifestyle choices. The vast majority of online life insurance shoppers have a very wrong appriasal of their health rating. This can have a huge impact on the ACTUAL rates that the carrier comes back with. More importantly, it can even dictate which carrier to go to in the first place. Here's a simple example that happens all the time in the real world. 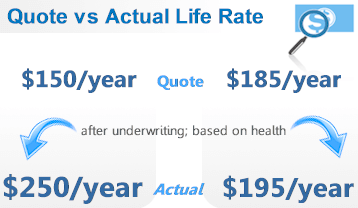 See what a difference underwriting can make. Our experts will understand this and choose accordingly the ACTUAL expected rate. The quote online is not good enough. Now...think how many variables there can be in a person's "actual" rate calculation. It's nearly impossible to really capture all this data in an online rate quote. With just a few minutes of questions, we can quickly figure out where you're really at in terms of health rating. More importantly...and here's the big one. We can recommend the right carrier for your particular health status. It may even be a no-medical exam plan (due to health status). You can't get that with an online tool. 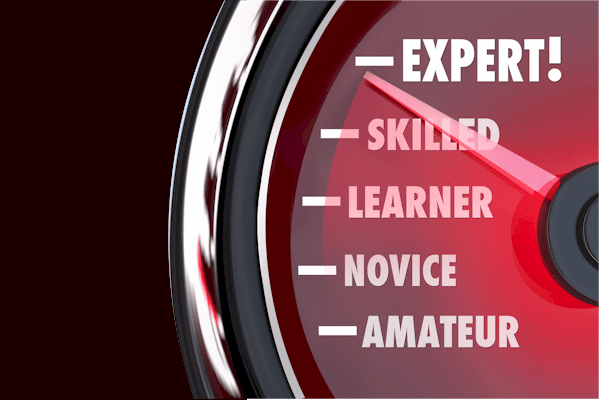 How much does this decades of experience cost you? As independent life insurance agents, our costs are identical to you. If you go direct to one carrier, you get the same rates. They may not be the best rate for you (based on health situation) since they'll only show you their plans. If you go with an online agency, ask how many years experience the rep has. If it's not decades, come back to us! We're combining the ease of online tools with the experience that we know is important. Give us a call at 800-710-0455, run your online quote, or email us with ANY questions. That's what we're here for. 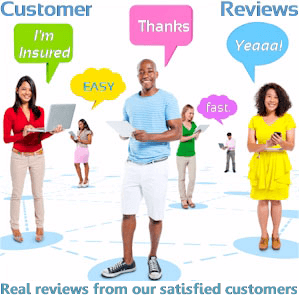 How to find a good life insurance agent? Call them with questions and then call us. You'll hear the difference in experience and knowledge of the market. This is important in two ways. First, it means you'll end up getting the value for life insurance. An inexperienced agent from a large online agency will just run a quote (which you can do yourself) and go with the lowest priced plan. The problem is that the carrier may (this is very common) come back with an actual offered rate which is much higher. Had the agent understood the carrier's specific niches and asked the RIGHT questions, you could have received an actual quote much more in line with what you were expecting to pay. Secondly, this would save you a ton of time and hassle. The life insurance enrollment process can be a long one especially if you're going the traditional route with medical exams (see no-medcal life insurance for alternative). It's very frustrating to go through that whole process only to get a rate much higher than you expected. That's why you need a good life insurance agent. If we can ask you the right questions BEFORE you apply, we'll save you both money and time. No cost for this service. With a just few minutes talking to our professionals, you'll hear the difference. Everyone knows it when they have some on the phone who really know what they're doing. It's like having a good plumber. So get your ears ready. Call us at 800-710-0455. We do get super busy because we help a lot of people but you'll see why when we're speaking. How are life insurance agents paid? This question comes up and it's important. We are independent life agents. This means we can work with any carrier. And we do. Depending on the best fit for the shopper. The carriers pay a commission which is pretty comparable across the market. Here's the important part to you. The rate offered is 100% the same whether you go through us, the carrier direct, an online website, or Kentucky Fried Chicken (look lower on the menu...you'll see it). The life insurance market is standardized that way. You know you're getting the absolute best rate. That's very important but there's another factor you have to consider. This is where having 25+ years experience and a consumer focused approach matters. Even though each carrier's rate is level, there can be big differences between carriers and even plans within carrier. This is dictated by age, area, health status, etc. That's why you really need an experienced life agent. With the right questions, they know exactly which carrier and plan will be the sweet spot. Remember, the quote given anywhere online is just an estimate. It usually changes depending on health, lifestyle, etc so you want to have the best carrier/plan for YOUR situation. We can help you find that at zero cost to you. What services does a life insurance agent provide? Most of the heavy lifting is on the front end. Life insurance is an interesting product in that, once it's established, it generally runs pretty smoothly for years or even decades. It's really important to choose wisely up front. The Chinese have a proverb (maybe more than one). They must have been thinking of life insurance. Let us roll up our agent sleeves and find the best value for your life insurance needs. If we do this correctly up front, you'll never find a better deal since the cost goes up with each year of life that you enroll. 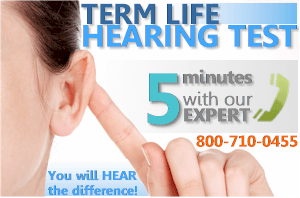 Remember our Life Insurance Hearing Test. Talk to us for 5 minutes and then talk to one of the big agencies. The other agencies won't make this same offer...they want to "sell". We'll listen, ask the right questions, and explain why a given carrier/plan is the best fit. We stand behind our 25+ years in life insurance. Your actual phone rep will have 25+ years experience in life insurance. Most online agencies have newly minted agents working phone banks. The only bank you'll see is the money you save (Okay...that was terrible but it's life insurance...we need to have some fun). Claims submissions - Let's home we never help with this step but it's the reason we buy life insurance and we're there to help. Watch out for the hard sell. It shouldn't feel like a used car. This is a financial product at its heart. You're looking to leave a legacy and protect love ones. You also don't want to spend more than you have to. It shouldn't feel like your fighting up-sells. It should really function more like a question/answer meeting than a sales meeting. The best life insurance agents ask questions. They then present the best fit for our needs and budget. If an agent seems more intent on pushing the process and speeding up the interaction, run, don't walk. Again, try the Life Insurance Hearing Test. You'll notice the difference when you speak with our agents. Okay...so those are the bad things. Has a vast knowledge of the market, products, and options available. Sorry...we had to say the last one. Look, we've all been on the other side of the equation. In the end, we just want our best interest at heart. Look for that in a life insurance agent. Call us at 800-710-0455 to see if that's what you hear. Hopefully, we've outlined important reasons and ways to find the best help. We're talking about a product you may have for years or decades! You're not buying lunch from a new restaurant where you can just choose to never go back. Life insurance gets more expensive every year of your life that you buy it. You want to lock in the best protection at the best rate now. Don't assume you'll get that with online websites. 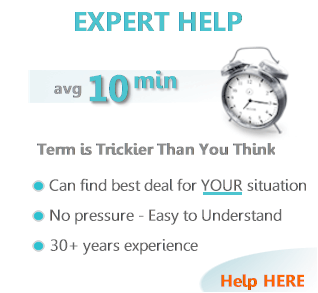 You need guidance and help from a very experienced agent. You also need someone who is thinking of your interest, not theirs. Hopefully you see that we have written 100's of articles on this website to educate, inform, and give life insurance shoppers the upper hand. If you have additional questions, please call us at 800-710-0455 or email us. How can we expertly help you? ?